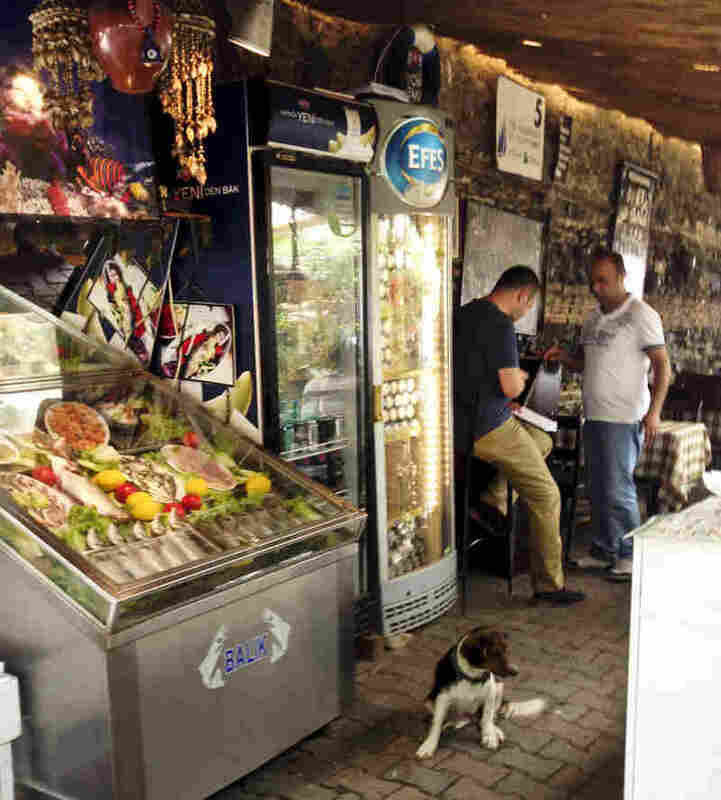 Akin Balik — balik means fish, and Akin's the name of the owner — is simplicity itself: a glass case full of fish, a constantly going grill and very little else. 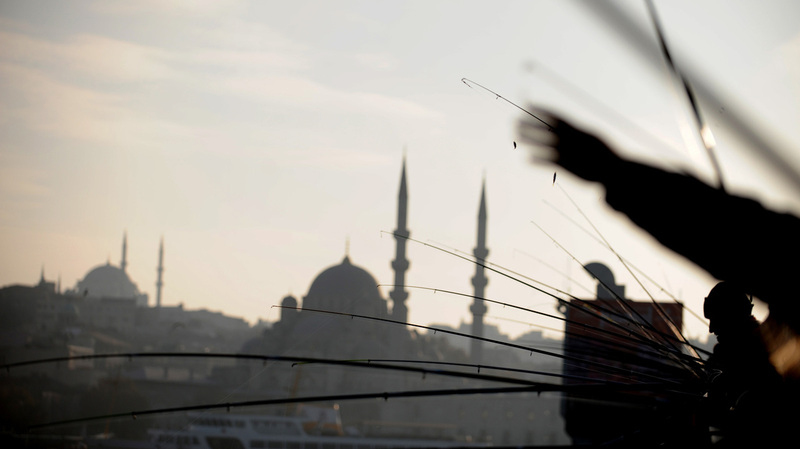 It's within sight of the more-visited fish restaurants underneath the Galata Bridge, and not far from the boats where Turks and visitors buy the famous balik ekmek, grilled fish sandwiches. Akin's brother Gokmen manages the restaurant, and he says they're blessed to be able to take for granted something that worries many would-be fish grillers: whether it's really fresh. "Of course, you can tell by the eyes — if they're clear — and we check the gills to make sure they're not dried out," he says. "But frankly, with the fish being caught practically next door and rushed to the market the same day, all you need is an honest person to sell you today's catch." There is something special about dining in much the same way the ancient Greeks and Romans did centuries ago, by putting fish to fire. And it's at this point simple cuisine does require a certain amount of vigilance. As you squeeze into the restaurant's small kitchen, a blast of fish-scented hot air rushes at you from the grill, a large and very clean metal grate over glowing charcoal. In Turkey, most grilling is still done over lumps of charred hardwood that impart a terrific scent to whatever they cook. 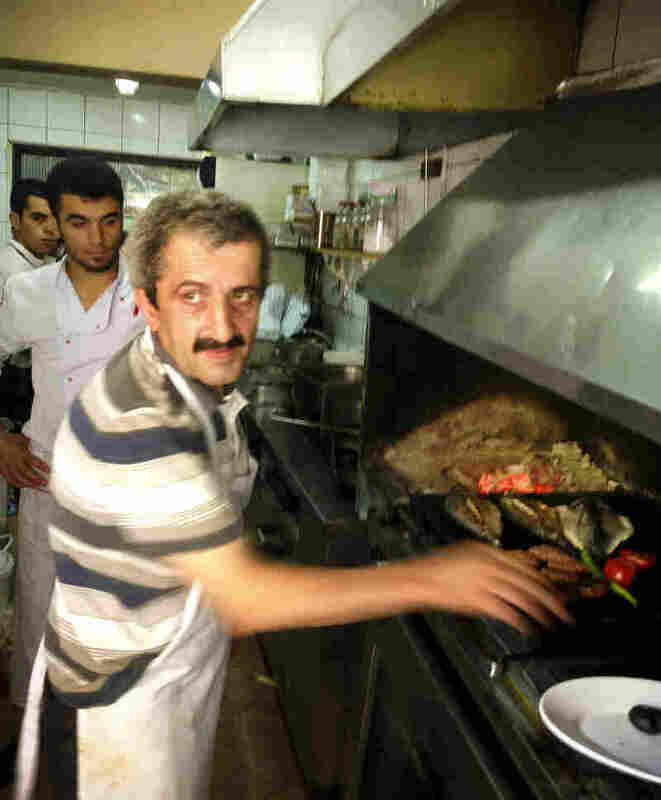 Gokmen believes in three basic elements to properly grilled seafood: fresh fish, charcoal and an attentive cook. "The heat of the grill is crucial," he says. "Some of the larger, thicker fish have to cook more slowly over medium heat, but these here," he points to two small bream on the grates, "they need a good hot fire. We keep this grill going up to 20 hours a day, so there's a great consistent heat at all times." Gokmen doesn't have to worry about turning his back on the sizzling seafood — that's why Sabri's here. Sabri says he's been grilling fish for 25 years, and as long as you don't get distracted, there's nothing to it. "I can usually tell when they're done just by looking, or sometimes just touching the surface of the fish," he says. "Each fish is a bit different, but you almost always want the same result — a nice crispy skin outside, with all the oils and juices still inside." The usual moment of panic for the amateur fish griller is the flip, but experts will tell you that's only a problem if your grill is dirty and your spatula too skinny. Whether you learn to love grilling fish yourself or leave it to the professionals, you may find it's the basis of a near-perfect summer meal — totally satisfying, but sitting lightly on the stomach. A salad with lemon juice and olive oil, succulent, faintly smoky grilled fish is simplicity itself, requiring nothing more than a cold beer or a crisp white wine. Or two. You will tell my boss we did this story on a weekend, won't you?